Alexandra Morton and Salmon Are Sacred are organizing an epic coastal walk and rally. Bringing communities together in a spring migration to remember. Folks will be walking in from the coast and the interior of BC to merge as one in Victoria! See the website www.salmonaresacred.org for more details. Note that the following itinerary is subject to change. See the above website for the latest information. 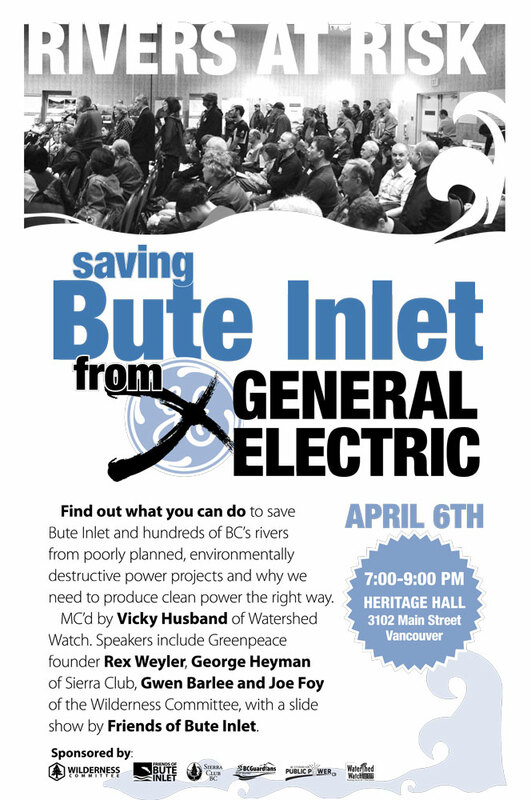 Rivers at Risk: Saving Bute Inlet from General Electric. 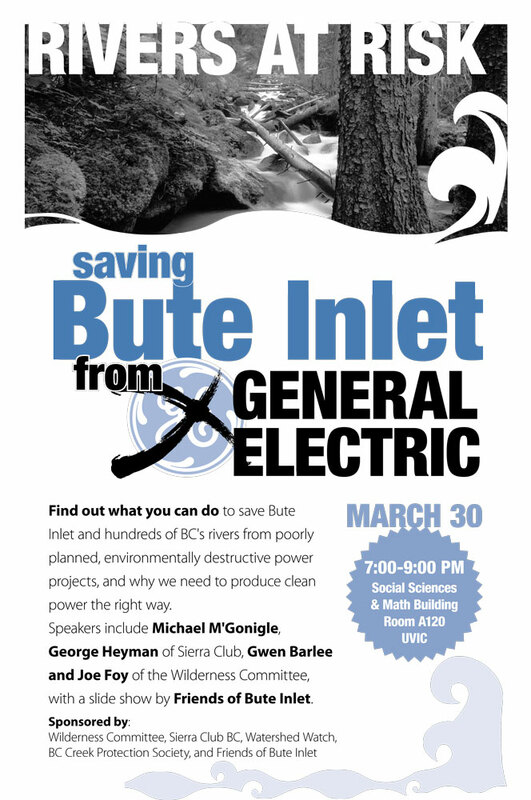 Find out what you can do to save Bute Inlet and hundreds of BC’s rivers from poorly planned, environmentally destructive power projects and why we need to produce clean power the right way. For more information, see the event poster links above. These meetings are sponsored by Wilderness Committee, Sierra Club BC, Watershed Watch, BC Creek Protection Society, and Friends of Bute Inlet. Everyone is invited to an evening of music, poetry, dance and speakers to honour wild salmon and to raise awareness about wild salmon. Salmon Talks Lillooet and the St’at’imc Unity Riders present: Wild Salmon Cafe. An updated program is now available for the upcoming Speaking for the Salmon Summit on Fraser Sockeye Salmon: Understanding Stock Decline and Prospects for the Future. This meeting is a follow up to a scientists’ think tank in December 2009 that considered the causes for the unusal and unexpectedly low returns for Fraser sockeye in 2009. For more information seewww.sfu.ca/cstudies/science/adaptingtochange.htm.